Everyone asks “I’ve tried everything to remove sarcoids, what makes your program work?” We thought it would be great for our customers to tell their success stories using Sarcoid Salve. This is only a small sample of the many cases we consult with every month. I have tried every salve and Indian mud type of sarcoid remedy they’ve made over the last two years – and they either don’t help much at all – or after a long time the sarcoid comes off, but then immediately comes back. Your salve is helping, and I noticed a difference in just 10 days! I have one pretty well gone and two of the largest ones that I’m still working on. In my opinion, your salve is the most affordable and has made the most difference so far. 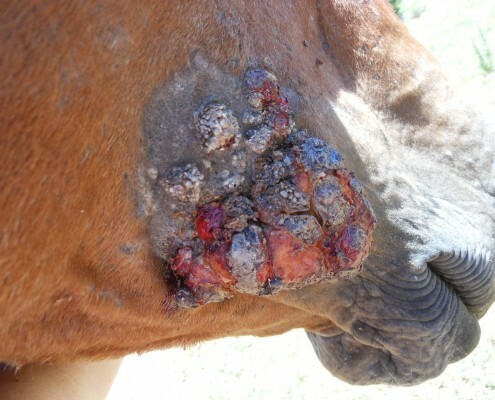 Our #1 eventer had a sarcoid in his nostril which we had treated with other products over 2 yrs without success. In the autumn of 2011 he suddenly developed masses of tiny sarcoids on his face, in both nostrils, on eyelids, even in the corner of his mouth. I estimate he had about 50 at the worst point. They were getting larger & we started to fear for his future as a competition horse. Within 3 months of using Sarcoid Cleansing Salve (which I found on an internet search for remedies) they began to disappear. 4 months later only the original is there, much reduced & I am confident it will drop off soon. 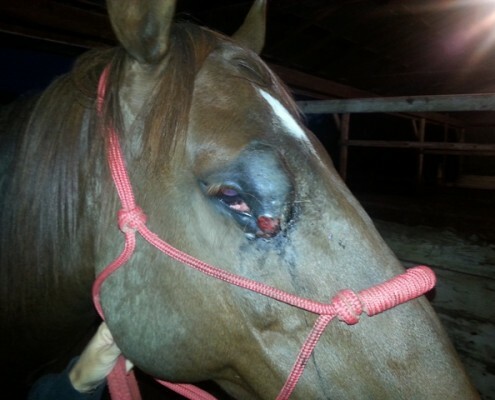 My 3 year old Arabian filly had a sarcoid just under her jaw. It started out the size of a pencil eraser and grew to about 1 1/2 cm in diameter. I found Balanced Eco Solutions in a search for treatment options. I called for more information on the product and received prompt replies, which I value very much. I can’t express how grateful I am to the people at Balance Eco Solutions for making this product available! The sarcoid is gone! The product was easy to use and stress free for my horse. 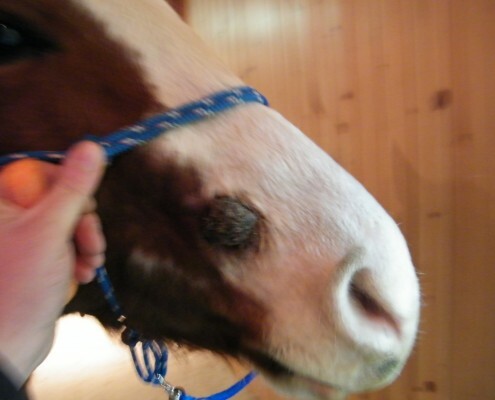 It is so easy to treat a horse with this product – – even though the time commitment seems long at first. I continued with her treatment as recommended even though the sarcoid seemed to get smaller and then disappear before the scheduled completion of treatment. All I can say it thank you, thank you for making this amazing product available. I recommend it to all! 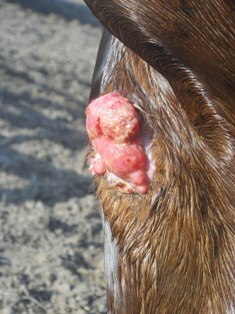 Ron, I am so thrilled to report that the sarcoid on Beauty’s leg is all but gone. There is just the tiniest pimple left… And I’m still keeping the treatment going until there’s nothing left. 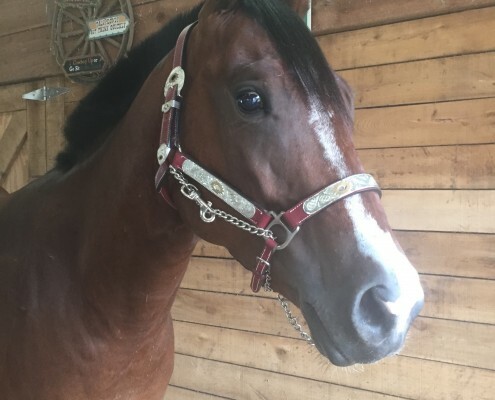 Beauty’s farrier is excited to see the results as he saw how volatile the sarcoid was and knew how concerned I was…anyway, this is another success story you can add to your list. :)) And the vet said nothing could be done. Well, I can now show him.